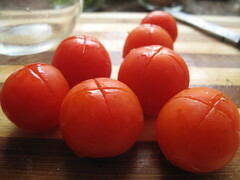 You can skin tomatoes of any/all sizes and Firm, ripe tomatoes work best if you want to keep the seeds/retain the juices. 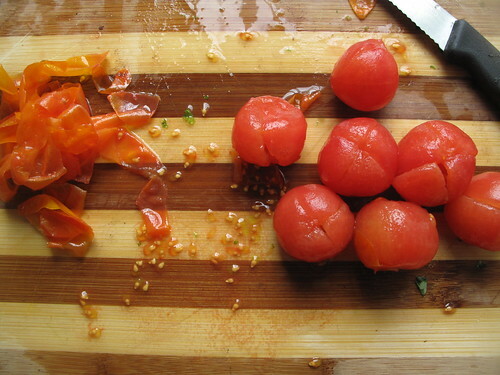 Prepare the tomatoes by washing them. Then put the kettle on to boil. 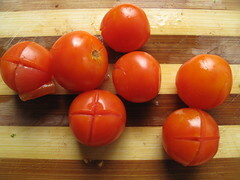 While the water is boiling, make little crosses on the underside (the bottom – not the top where the stallk is) of the tomatoes. 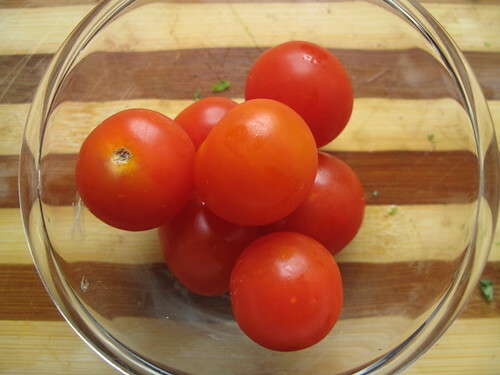 Then put tomatoes in a bowl and pour boiling water to cover the tomatoes. 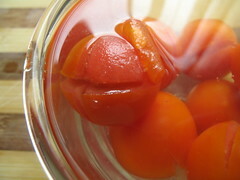 Leave them for a minute or two then test one to see if it is ready by pulling the edge of the skin . 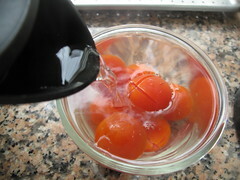 When it is ready, drain the water off and leave to cool for a minute, before taking the skin off. 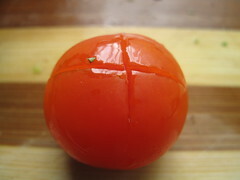 Pinching one edge, peel back and do the same off the other edges. 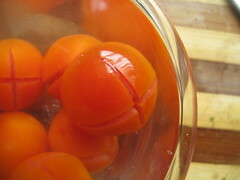 Best done over a bowl to catch whatever juices try to escape.